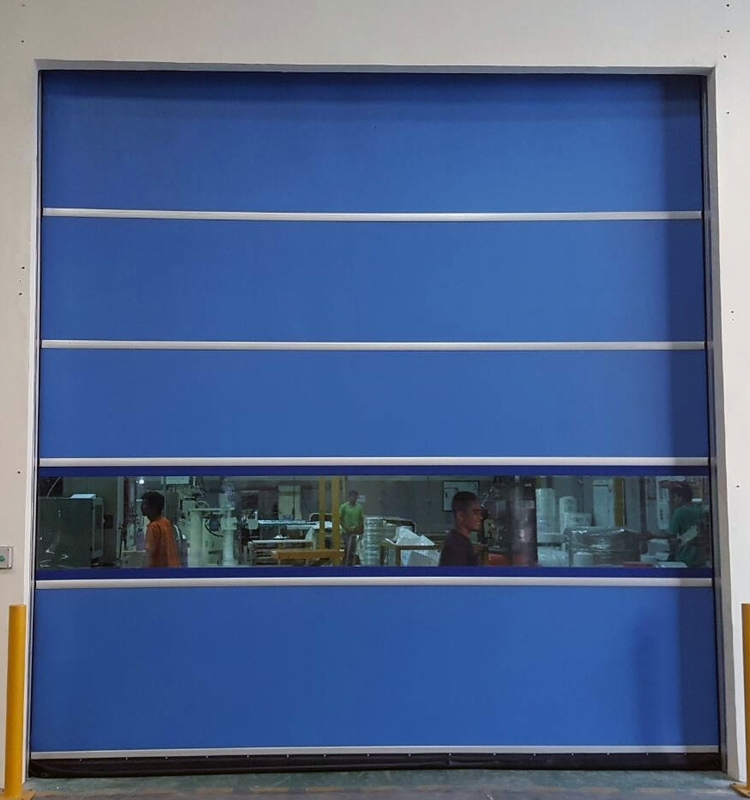 Are you looking for industrial high speed doors that are resistant to collision of hard objects? even heavy equipment such as forklifts? 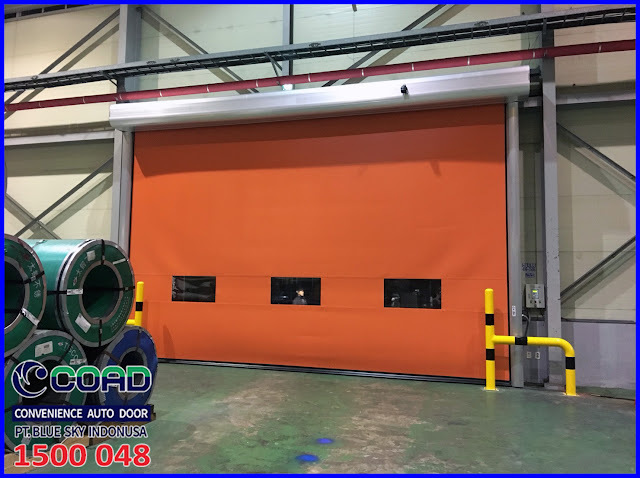 COAD has a High Speed Door automatic door that can withstand being hit by a Forklift or Industrial heavy equipment. 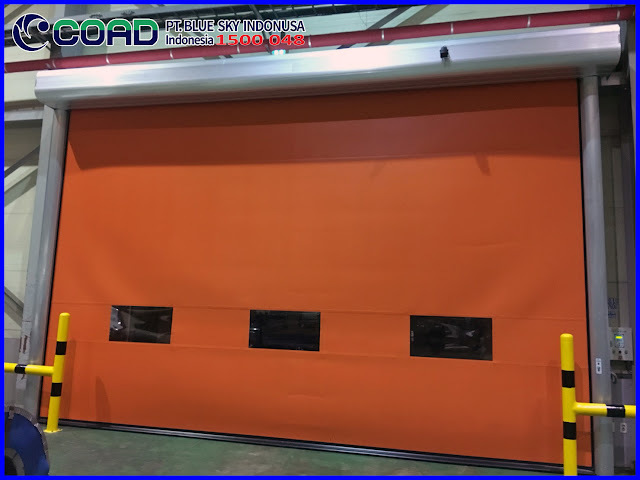 COAD High Speed Door has several types of doors with varying functions. 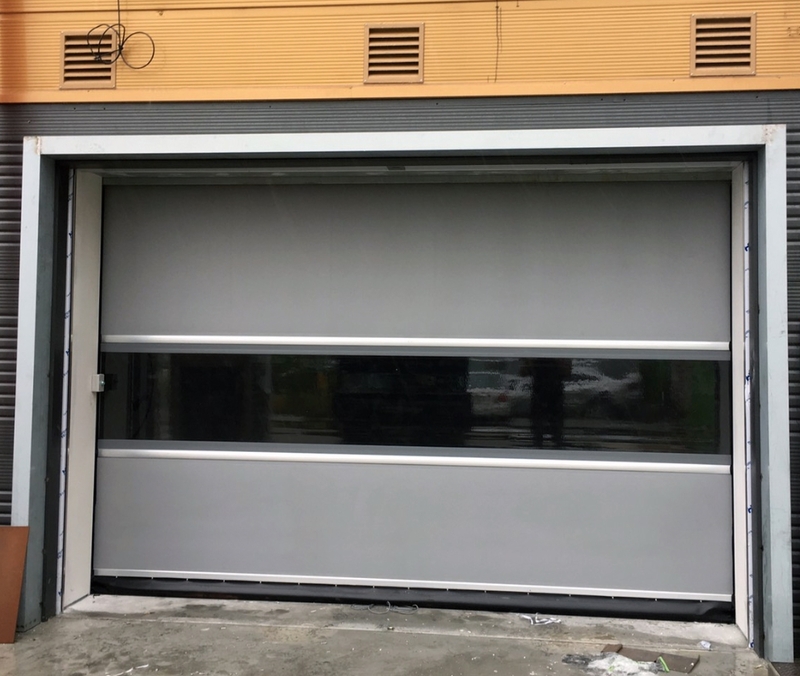 COAD is a company with cutting edge innovation and door technology. 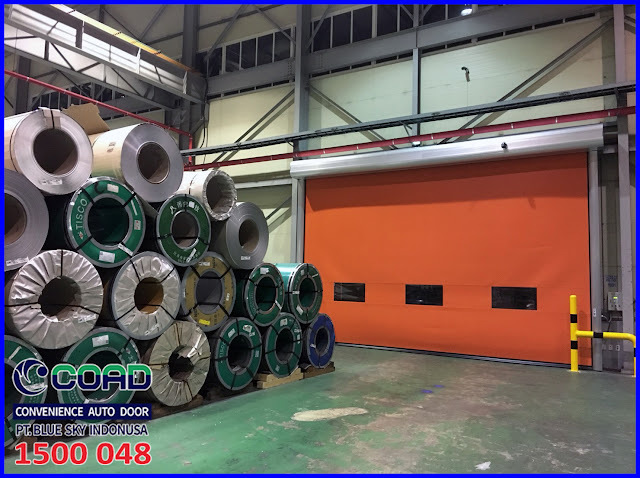 The type of door is the C-3 Restoring Model, which is a door that has a Recovery System or Self-Recovery, a door that can repair independently. when the door was accidentally hit by a vehicle while operating. This type of door is a door that uses a zipper. Zipper works when the collision occurs on the door, when hit by the door is not really damaged but Sheet and Zipper just apart from Rail. To fix the Sheet will go up or open the door fully and then when closing the door will automatically return as before. For a room with solid forklift traffic, it is suitable to use a sensor loop. 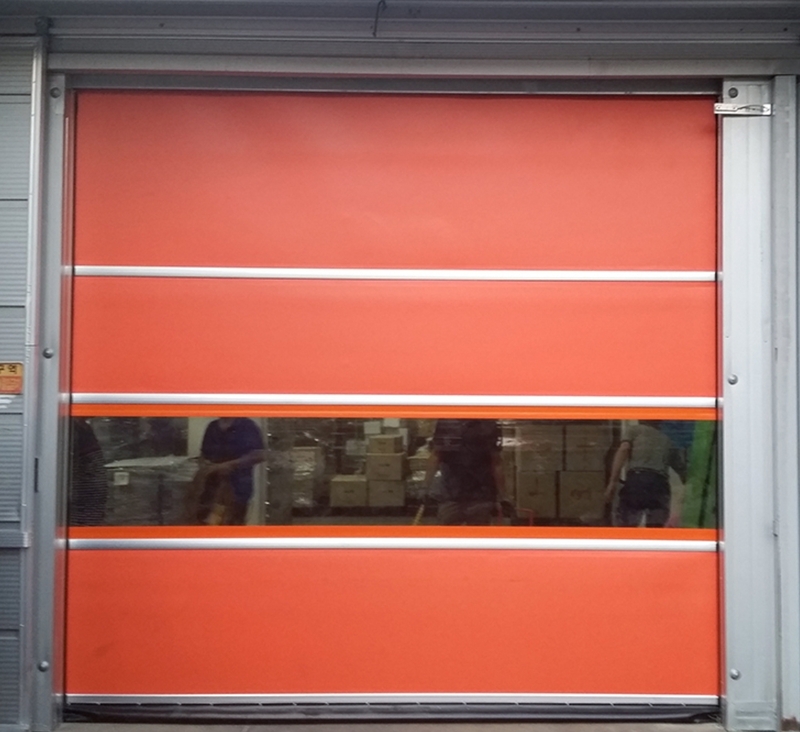 The door will automatically open when the forklift steps on the area of the sensor loop where the sensor detects the metal from the forklift tire. 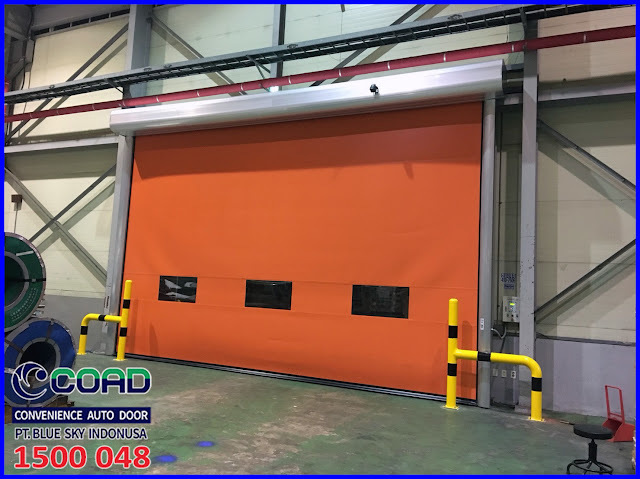 0 Response to "High Speed Door That is Resistant to Impact Hard Objects - High Speed Door Indonesia"